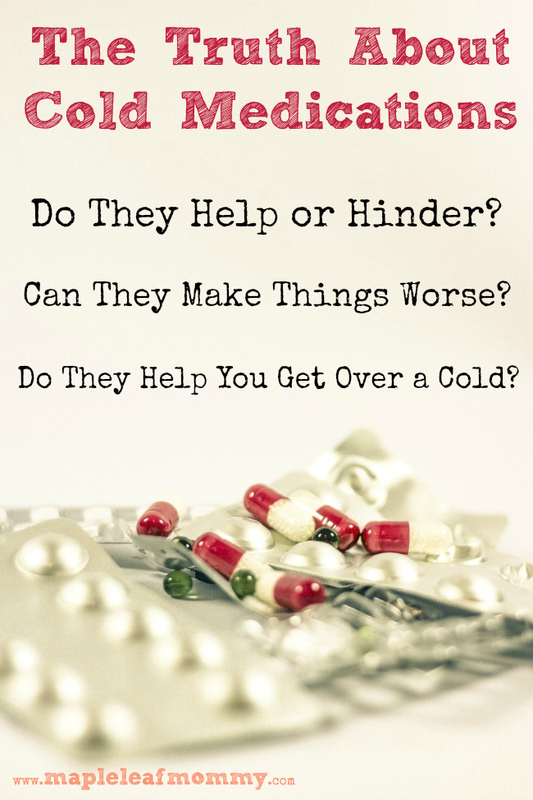 You are here: Home / Mom Life / Do Cold Medications Help, Or Do They Make You Sick(er)? 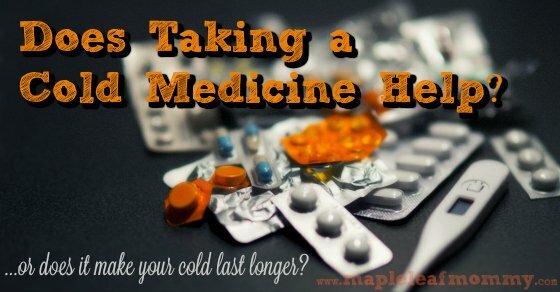 How do you feel about cold medications? Do you start popping tablets at the first sign of a sniffle, or do you try and avoid taking them all together? I remember sitting with my husband, at the time my boyfriend, in our apartment, watching this news expose on cold tablets. Feels like it was last month, but I’m doing the math and it was more like fifteen years ago. At the time cold tablets were still a relatively new product, or at least that’s what my foggy memories tell me. The news show we were watching claimed that taking cold tablets would alleviate your symptoms but actually lengthen the duration of your cold. I don’t remember the details, as I mentioned it was many years back, but it must have sounded pretty convincing because watching it persuaded me to give up cold tablets. Hubby felt differently. He was, and still is, hugely in favour of taking cold meds. He explained his rationalization to me, he’d rather feel crummy for a few days then feel absolutely unbearably miserable for a slightly shorter time period. 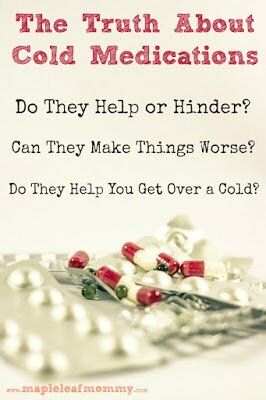 So we keep cold tablets on hand, for the numerous inevitable colds my immunosuppressed husband comes down with and he starts taking cold medication at the first sign of symptoms. I, on the other hand, normally try and tough it out. Telling myself I’ll get it over with quicker if I just hold strong. I have to be feeling really amazingly lousy before I start taking cold medication. Or at least that’s how things used to be, up until a few months ago. See back in October I started using a CPAP machine to treat my sleep apnea. This means I wear a mask over my nose, which pushes air at me at a certain pressure, helping me to keep breathing evenly all night long. It’s an improvement over the whole stopping breathing, gasping and snoring, thing, which is what was happening in my sleep prior to my using this machine. 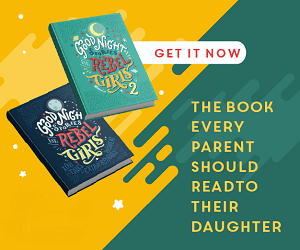 When I first got my CPAP machine, the folks at the medical centre where I picked up the machine reiterated the same thing the specialist had told me, you absolutely must use the machine every time you sleep. They said it over and over, and emphasized it quite a bit. Every night, must use machine, Naps, must use machine. If you ever have to be sedated for an operation, bring your machine. Use it every time you sleep. Really. We mean it. Or wait, maybe there’s a third option. How about taking some cold medication? The first time I came down with a cold and I had to wear my CPAP machine I panicked. I tried to use the darn thing, but I found myself choking on phlegm. I ended up having to sleep without it, which didn’t exactly go well. To heck with this whole toughing it out thing, when I am sick I need to sleep and to sleep I need to breathe. Given that I’ve been holding out and not taking cold medication based on something I watched on TV fifteen or more years ago, I started wondering how accurate my reasoning was. So I started searching around with Google and reading articles on the effectiveness of cold medications, looking at studies they’ve done to see if taking tablets helps shorten (or prolong) colds. Personally, the last two times I’ve had a cold I’ve taken cold tablets, in the hopes of being able to breathe through my nose and use my CPAP machine. Did it extend the length of my illness? I don’t think so, but it’s really hard to know for certain. Did it help with being able to breathe and use my machine at night? It definitely helped, to a point. There were days when I was so stuffed up, nothing was going to help. However I basically went from not being able to use my sleep machine for one or two nights, as opposed to not being able to use it for a week or longer. What about you folks? Do any of you use a CPAP machine? How do you work around a stuffy or runny nose when it comes to using your machine? How do you feel about cold medication? Do you swear by cold tablets, as my husband has done for years, or do you try and hold out, like I used to? If you’re curious what it’s like to be tested for sleep apnea you can read about my experiences during my “sleep over” at the Sleep Clinic for an overnight sleep apnea test. I must have missed that television program all those years ago because I've never heard that. I wonder through what mechanism they would be able to do that. Myself, I take OTC cold medicines when I feel that I need too. Like you, I may tend to wait a bit too long though before I end up taking them.